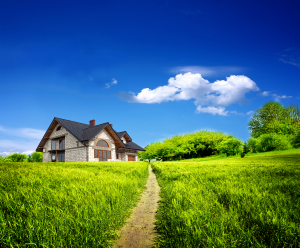 There are 3 main types of home loans that you are get, today we’re going to be discussing what a USDA home loan is and why it’s been a great option for home buyers looking outside of city limit and smaller towns. USDA loans offer $0 down-payment for qualifying buyers who are looking to buy in the eligible USDA areas. Buyers don’t have to be a first time home-buyer but in most cases, they can’t own more than one property at a time. If you already have a home loan, then it might be a good idea to consider refinancing your home loan. You might be thinking though why you should refinance your home loan, however, you might find it beneficial to you. Offers very competitive interest rates. There is a 2% upfront funding fee which is added to the loan. Monthly funding fee for USDA is at 50 BPS which is lower compared to FHA and some of the conventional loan options. There is an option for financing closing cost to the loan as long as the property is appraised higher than the purchase price. for example, if the purchase price is at $100K and the appraisal value at $102K, buyers can add $2,000 to their loan amount towards eligible closing cost and pre-paid items. There is an income limit for each county per household. Clients can see the income limits for USDA Home loans on their website or call lenders for questions. The property for USDA home loans has to be in an eligible location. USDA properties have to meet the minimum HUD standards. USA Mortgage has been awarded number one lender in Missouri four years in a row with USDA office. Offering competitive rates and terms. Working with clients who don’t have perfect credit to qualify them for such a loan. If USDA loan is something you are interested about or want to learn more about it, Call or Apply online for more information.